Ambassador Rafael Pablo Antonio Canedo Daroca, Chargé d'Affaires of Bolivia, welcomes us to Discover the Culture and Cuisine of the Heart of South America. 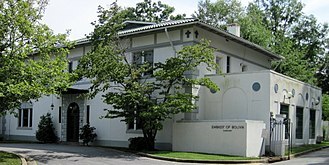 The evening's program will include an orientation and introduction by Ambassador Rafael Pablo Antonio Canedo Daroca, Charge d'Affairs of the Embassy of the Plurinational State of Bolivia, a performance of Chaco Boliviano, and a full Bolivian dinner with wine. We are grateful to Dr. Alejandro Bilbao la Vieja, DCM, and to Mrs. Giovanna Baina, First Secretary, for their gracious collaboration. This event is limited to Harvard Club members and their guests. Business attire is required $45 per person. All proceeds will benefit the Harvard Club's community service efforts. Please do not telephone the Embassy of Bolivia regarding this event. For additional information, please call 202-337-1300 and speak to Caren Pauley, Executive Director of the Harvard Club. There is very limited parking. Please take public transportation or taxi/Uber to this location. After 6 pm, some parking may be found on 30th street. Mr. Canedo was born in Tarija, Bolivia and graduated from law school at the Universidad Juan Misael Saracho in 1999. He did his post graduate studies in Criminal Sciences at Universidad de Habana, Cuba, in a joint degree program with the Universidad Juan Misael Saracho. He was Fulbright Scholar from 2002-03, pursuing programs in: Introduction and Orientation in American Law, and Legal English for Lawyers, at the University of California, Davis. He concluded his Master Degree in Law (LL.M) at the University of Minnesota Law School, Minneapolis. In 2003 he worked as an interpreter in the evaluation and translation of the UN Human Rights Commission normative projects on transnational corporations and human rights. From 2004 to 2015 he was a partner at the law firm, Canedo & Associates in Bolivia, with national and international clients, focusing on commercial, corporate, penal, labor, and civil law. He also advised boards of private and public entities, including trade associations. During 2006, he worked as a Legal Consultant in the area of Management and Procedures for the Inter-American Development Bank, on a project focused on the reforestation and recovery of the water supply of the Rincon de la Victoria and the Sama Mountain Range. Pablo is also well known for his involvement in sports, arts and cultural activities for the past twenty years. In 2015, he was candidate for Governor of Tarija. In July of that year, he was appointed National Director of the Pilcomayo and Bermejo River Basins interfacing with the governments of Argentina and Paraguay on behalf of the Government of Bolivia. 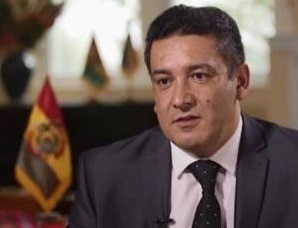 Since July of 2017, he has been Chief of Mission (Charge d’Affaires) of the Embassy of the Plurinational State of Bolivia in Washington, D.C.